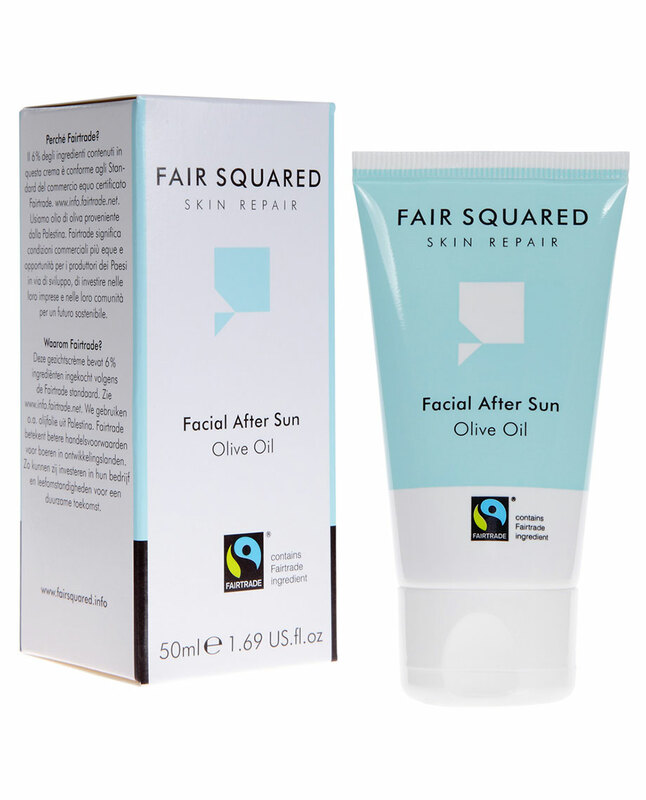 Facial After Sun Cream van Fair Squared gebruikt in combinatie met de Facial Sun Cream. De crême werkt herstellend en hydrateert en kalmeert de huid na het zonnen. Facial After Sun Cream bevat naast fairtrade gecertificeerde olijfolie ook aloe vera, panthenol, vitamine e en lecithin. Ingrediënten: Aqua, Aloe Vera Powder 200xfreeze Dried, Olea Europaea Oil (Olive Oil), Caprylic/Capric Triglycride, Butylene Glycol, Glycerin, Cetearyl Alcohol, Ethanol 96,5% verg., Steareth 21, Panthenol, Glycerin Stearate, Methylheptyl, Isostearate, Lecithin, Ascorbyl Palmitate, Tocopherol, Xanthan Gum, Polyacrylamide, Disodium EDTA, Parfum, Phenoxyethanol, Ethyhexylglycerin.